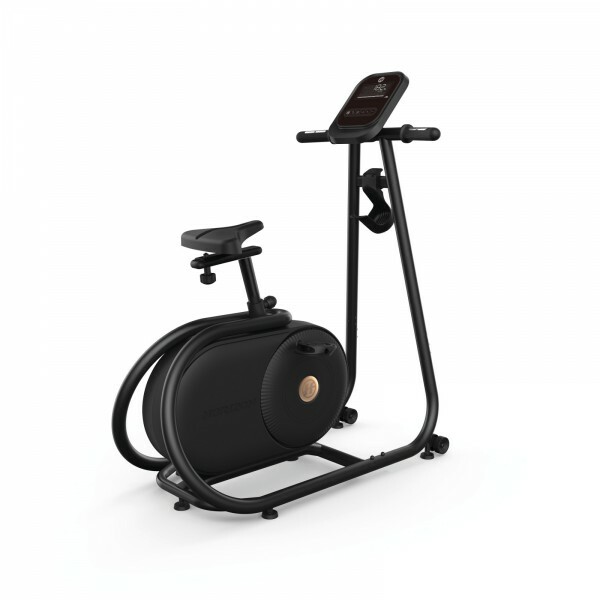 The Horizon upright bike Citta BT5.0 of the new, innovative Citta series. The Horizon upright bike Citta BT5.0 is a real eyecatcher thanks to its slim design and it offers some interesting features as well. The mat black and the soft beige touches of colour fit ideally to the steel tube construction and adapt easily to any room. Do a normal cardio training with the BT5.0 and control it via the intuitively adjustable console. A diversified and intensive training is given thanks to the 20 adjustable resistance levels and the 10 programmes. Using the optionally available, foldable table, you can transform the BT5.0 into an active working place. The delivery table offers sufficient space for laptop, computer or documents. While working or doing other activities, you can do your training comfortably and hence combine the necessary with the utile or healthy part. Turn your usually static sitting activity into a healthy, sustainable, and active movement with the Horizon upright bike Citta BT5.0. Strengthen you cardiovascular system while working without requiring a separate training time. Horizon delivery desk for Citta BT5.0 In stock! Horizon upright bike Citta BT5.0 add to comparison list.